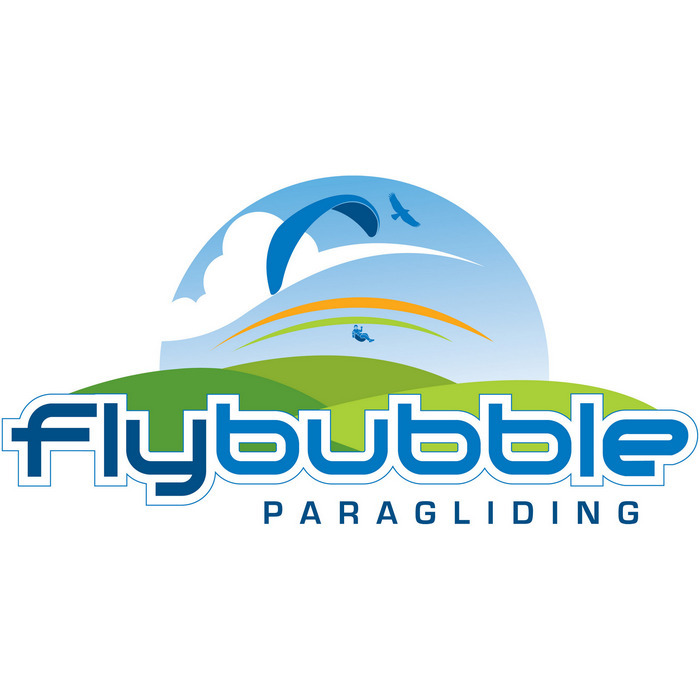 Flybubble is a specialist freeflight equipment retailer and distributor based in the UK. We aim to offer an outstanding and highly personalised service to our greatly valued customers. We offer a select range of the very best equipment available from the top freeflight manufacturers, and hold far more stock than most. This means we can offer you a great choice and can also offer custom fittings, demo flights, package deals, part exchanges and second hand gear. We are passionate pilots, and between us love all aspects of flying - from ridge soaring to cross country to competitions and acro - so we can advise on many different styles of flying and equipment. We are experts at matching pilots to equipment, and equipment to pilots! Most of all, we care about your progression. Apart from keeping all the product information up to date so you can make informed decisions, we review gear, compile tips, create instructional articles and produce videos so you can benefit from our knowledge and improve your flying. You're buying something you need to trust with your life. Are you making the best decision? Use our expertise to find the right match with your skills and aspirations. We gather information directly from the manufacturers about current developments across a wide range of products. We fly them and test them in demanding cross country conditions. We draw on this knowledge when helping customers with every gear choice. We avoid bias by stocking many brands, so we are free to choose the right model for you. By using our buying services you get equipment that will build your confidence. Get a personal consultation then use our demo wings and trial products to try out your shortlist. Get a good part exchange deal. Relax in the knowledge that delivery will be fast and any problems will be sorted out. We've been trusted by pilots since the early 90s. Find out why. "Your customer service is hands down the best I have ever had, thanks again." If you buy at least two high-cost items at the same time (like a wing, harness, reserve or instrument) we can offer you a package deal. The more you buy, the better the deal we can give you. Contact us for more details. If you want to trade-in your equipment, we can offer you a great part-ex deal for your old kit when you buy new equipment from us. First, get a professional service report from The Loft or similar (no more than 6 months before the exchange), then we'll take your old gear and reduce the price of your purchase. You don't have the hassle and risk of trying to sell it yourself: your serviced equipment joins our approved Second Hand stocklists. If you're on a tight budget, our Second Hand section is a good place to start. We often have more than what is listed online, so contact us if there's something you're looking for, or for buying advice. Get expert advice from experienced pilots. We've been teaching people to fly and supplying top-notch flying equipment since the early 90s. Whether you learn to fly with us or buy your equipment from us you will benefit from our knowledge. We stock the most popular wings in various sizes, so we can offer you a test flight on almost any wing in our range. This means you're much more likely to make an educated choice building on real experience. If you'd like to have a hang in the newest paragliding harnesses, or try on some stylish helmets, flying suits or boots, you can arrange a personal trial. For small items and product research, we recommend you use our online shop. This is the fastest way to make a purchase, as orders are processed daily and the payment procedures are automated. If you have special requirements or need advice, contact us to make your purchase over the phone. In the unlikely event that there's something wrong with a new wing, it's best that we're the last stop in the quality control line. That's why we offer professional glider dealer checks as part of our service. Not everyone does these dealer check or product inspections, but that can put you at risk, and invalidate your warranty. This can be invaluable for things like helmets and harnesses, that really only work if they fit you. Fitting a reserve parachute or setting up a modern pod harness takes time and expertise, and those customers who have benefitted from this service have been impressed with the difference it makes. Perfect balance, easy launch and landing, or a helmet that doesn't slip off your head when you really need it. We appreciate you ordering from us and will fulfil your order as quickly as possible. We used tracked insured delivery services and only deal with a limited list of countries as shown on the Shipping and Postage page. We strive to offer friendly and personal service, so we're always here for you if you need support after buying something from us. We've built strong trade links with suppliers and can call on them for hassle-free exchanges or warranty repairs. Bought the wrong size helmet or boots? Our returns procedure is easy! Whether you're looking to buy wings, harnesses, helmets, instruments, reserves or accessories, our buying service cannot be beaten. It's a complete solution designed to give you stress-free shopping and good advice to match you with gear you can trust so that you can fly with complete confidence. "Thank you for the excellent advice and service in changing my wing, harness and reserve. The whole fitting and Q&A process is really worthwhile. It is priceless to talk face to face with somebody who has really tested and flown a particular wing and can advise on its characteristics. That's Flybubble." Apart from being able to offer you test flights on a range of new wings, having demo paragliders and trial products means we learn about all the new designs, so we're the best to advise you on them. For example, being an official Advance test centre means we have almost all of their products in stock, available to trial. We usually hold demo wings from Advance, Gin, Nova, Niviuk, Ozone, Skywalk and Sup'Air; harnesses from Advance, Gin, Kortel, Niviuk, Ozone, Skywalk, Sup'Air and Woody Valley; instruments from Flytec, Naviter, Syride and Flymaster; and helmets from Charly, Icaro and Plusmax to mention just a few. You can try various models on for size, and compare features with expert assistance in our one-on-one consultations. That's why pilots say Flybubble is the best place to buy all your kit! As well as being an airsports equipment retailer, Flybubble is a BHPA approved paragliding school based in the South of England, near Brighton. Carlo (operations) and Nancy (sales) direct the business side of things, Boris (systems and products) and Michelle (support) with additional input from Greg (marketing) and Simon (fulfilment). We're all good friends and fly together, as well as sharing any instructing duties. We also have a team of great pilots who represent us in the sky.